Description Penn Central (PC) Railroad Black and White Route of Metroliner Club Car Dinner Menu from the Metroclub Car on the New York to Washington high speed trains. 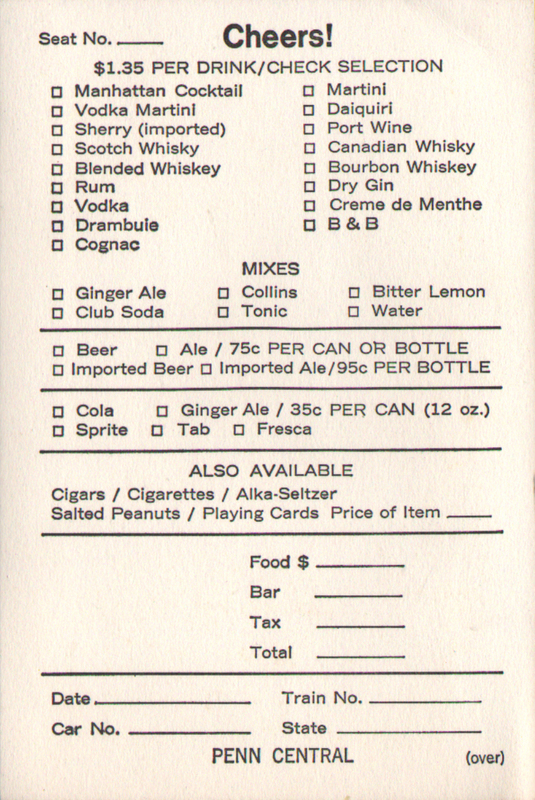 This menus has a code of MCC-D8. 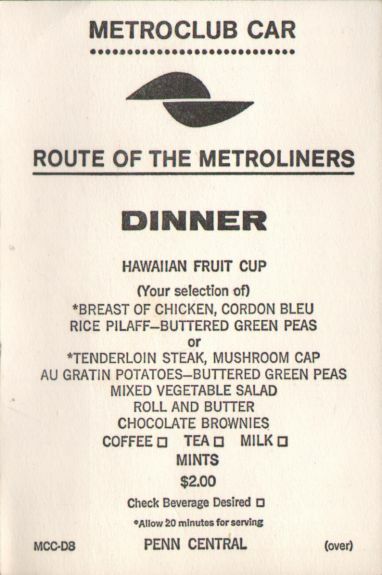 A very "airline" like dinner for the time period - a Hawaiian fruit cup and a choice of Chicken Cordon Bleu (Rice Pilaff, buttered green peas) or Tenderloin Steak, Mushroom Cap (Au Gratin Potatoes, buttered green peas) with Roll and Butter, Chocolate Brownies and a choice of Coffee, Tea or Milk and Mints all for $2.00. Just be sure to allow an additional 20 minutes for serving.